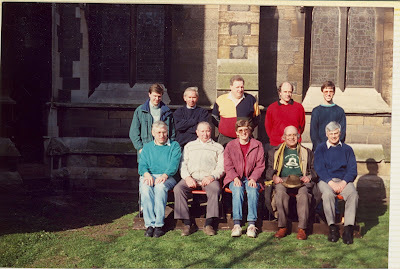 This year’s Worthington Cup competition was held, as usual, on the Saturday preceding Palm Sunday at St. Paul’s Burton-on-Trent. The weather was exceptionally good for the time of year but unfortunately there were only five teams competing. The Reverend David Morris welcomed the ringers in the Church Hall before making the draw for the order of ringing. The chief judge for the day was Mr. Dennis Frith from Grantham, who is no stranger to the competition having judged it previously. He was assisted by two ringers from Boston, Michael and Kathryn Smith. The test piece was a touch of 377 Grandsire Caters which each band had to complete within a half hour time span, allowing for rope adjustments and practice. All the bands kept to this schedule easily. As usual there were nearby towers open for general ringing during the afternoon, this year Winshill and All Saints, Burton-on-Trent, and the opportunity to ring there was taken by many visitors. The Ringing Master of the Guild welcomed the competitors and others back into St. Paul’s Church Hall and welcomed Mrs. Worthington, the president of the Midland Counties Guild, who had travelled from Yorkshire to present the trophy to the conductor of the winning band. The judge was then called upon to deliver his verdict on the day. 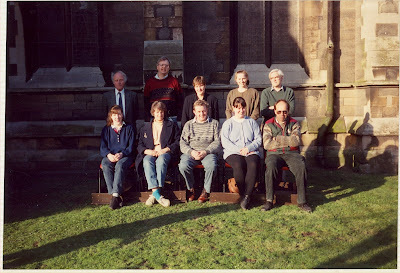 The times of the various pieces were announced, comments were made as to the merits and de-merits of the particular touches and finally the result was given as follows: 1st-St. Peter’s Mancroft, 27.5 faults; 2nd-Derby Diocesan Association, 45 faults; 3rd-Midland Counties Guild, 52 faults; 4th-Worcestershire Association, 54.5 faults; 5th-Bath & Wells, 59 faults. The wide margin between 1st and 2nd places and the judge’s comments left no doubt as to the justice of the result. 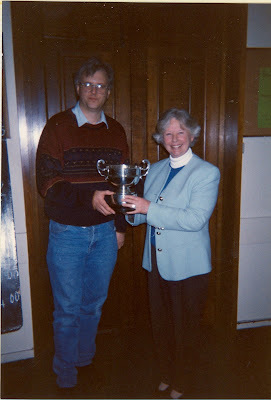 The conductor of the winning band then received the Cup from Mrs Worthington after the president had made a few kind remarks about this annual event. So the 17th consecutive Worthington Cup competition came to an end on a happy note, with thanks going to the Reverend David Morris for the use of the bells, the Catering Committee for the refreshments which were available throughout the afternoon, the judges who had worked hard, the president, Mrs. Worthington, and the competing bands. 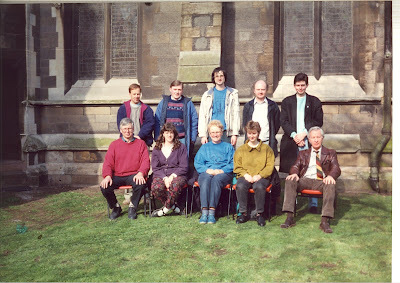 The date of the 18th competition was announced as 8th April 1995, when it is expected that seven or eight teams will compete in ringing Royal at St. Paul’s Advance notices should appear in The Ringing World in October 1994. This late report, although hardly news value, is published ‘for the record’. Due to an oversight the report was not sent to us immediately after the event-ED. 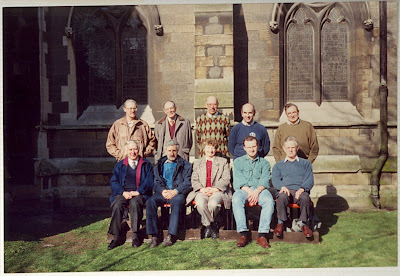 Philip Mehew, Pamela J Timms, Patricia A M Halls, Frances E Haynes, David J Marshall, Steven Peers, Richard L Taylor, Roy A Meads, John E Heaton, Anthony P Cotton. 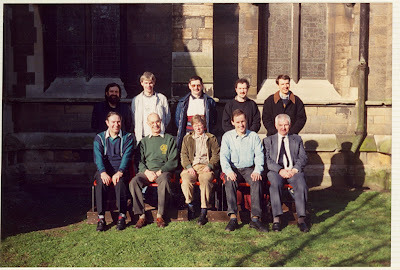 Martin G Powell, Simon J T Wilmshurst, Catherine R Taylor, David Beacham, Alan Roberts, David G Franklin, Andrew J Ellis, David A Chiswell, Charles S Hayward, Nicholas J Green.